Nadia Boujarwah, 31, has come a long way since designing her own prom dress after a “completely demoralizing” shopping trip. 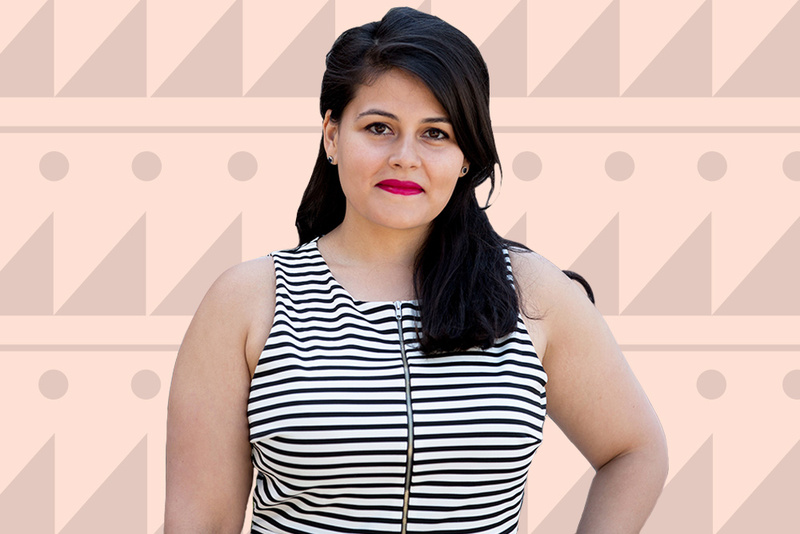 As the CEO and co-founder of a booming clothing business, Dia&Co, she’s now making ripples in the fashion industry by connecting to the plus-size community in a super personalized way. Fed up with the lack of options and flexibility in fashion, she quit her day job and started Dia&Co in 2014, a subscription styling service that tailors outfits to its clients’ personal styles, bodies, and budgets. Today, the company has raised over $25 million in funding and boasts over 300 employees with one million customers. We chatted with Boujarwah about the modern workplace, her impressive–and challenging–career trajectory, and how she found the courage to defy traditional expectations of women in fashion. Herself a size 15, Nadia knows a thing or two about the importance of compatibility and flexibility. Whether it’s in work structures or the shopping cart, she talks about how that mentality is key to self-expression and personal success. Werk: It’s been 3 years since you co-founded Dia&Co, and it’s grown astoundingly from there. You mention that it grew out of a personal need, but where exactly did that inspiration stem from? Boujarwah: I have been plus size my whole life, and I’ve worn every size between a 12 and a 22. Growing up, I always struggled to find stylish clothing that fit my body. When I got to Harvard Business School, I started digging a little deeper into this and discovered how many women nationwide also struggle to find fashionable plus size clothing: 67% of women in the United States wear a size 14 or above, but plus size clothing only accounts for 17% of total apparel purchased. There is a misconception among retailers that plus size women are not interested in fashion, so designers don’t carry or produce clothing in larger sizes. I know from my own experience that this just isn’t true. 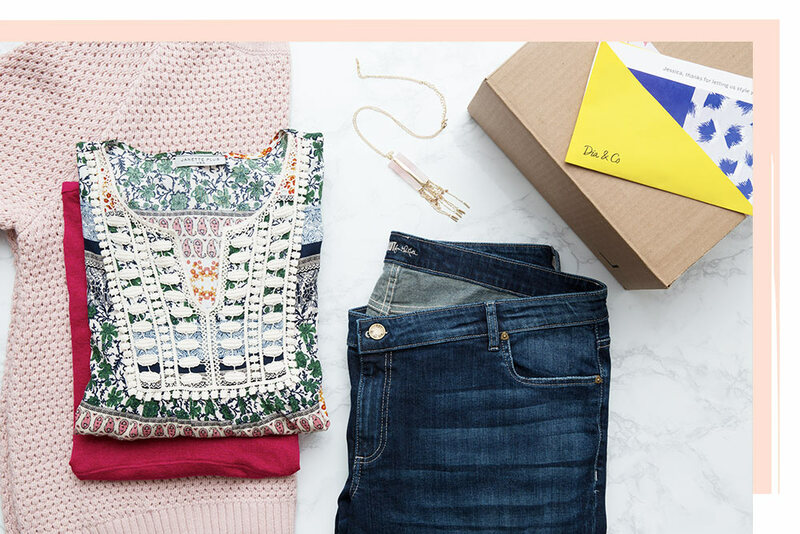 In 2014, I teamed up with my HBS classmate Lydia Gilbert to found Dia&Co, a subscription styling service for women who wear sizes 14 and up, so the more than 100 million plus size women in the United States can participate in fashion. That’s so exciting. Speaking of progress, we’re very curious about the issues you’ve had fundraising as a woman, particularly one whose product speaks to a group that is often overlooked or ignored altogether. Werk’s co-founders faced a lot of "gendered questions" while they were fundraising. What was your experience like as a female founder? When Lydia and I were first looking for funding, we certainly had challenges. First, we were two female founders, and second, we were pitching a business entirely focused around plus size women, a segment that has been historically ignored and underserved. Most of the VCs we were pitching were male, and many did not understand the business or its appeal—some said that they would have to ask their wives for their opinion. We knew that we did not want to take funding from any VCs who did not understand what we were doing or why—and that meant we ultimately did not take any investment from Silicon Valley after our first attempted round of fundraising. Instead, we bootstrapped and gained support from a friends and family round. Fortunately, we eventually did find a group of investors who shared our vision for serving this customer exceptionally. What do you think about the modern workplace makes it difficult for women to succeed? Unfortunately, something I’ve observed is that senior employees often tend to mentor employees who come from similar backgrounds as them. This often results in fewer mentorship opportunities for women and minorities. It can be really difficult to succeed without the support of a mentor, and I think this holds many promising employees back. My mentor has been exceptional in actively promoting diversity in the workplace by mentoring someone from a different background than him. If all mentors could commit to this, I think we would be able to make a tangible impact in the workplace by creating an environment where more women and minorities are groomed for leadership roles. What gender/social norms do you think most desperately need to be broken in today’s generation? In interviews about my company, I am frequently asked whether I have children or whether I plan to have children. I’ve yet to see an interview where a male founder was asked these questions. Though this is a minor example, it’s illustrative of a larger issue: we assume women’s personal and professional lives must be in conflict, and we do not make the same assumption of men. This stereotype is harmful to both women and men. As a first step toward eliminating this stereotype, I would like to see real progress in regulation regarding maternity and paternity leave. At Dia&Co, we offer both primary and secondary caregivers extensive paid leave to ensure they can take the time they need with their families. We find that providing both parents with leave makes it clear that no employee needs to worry about potential professional setbacks should they choose to take leave. This should be the norm, not the exception. Where do you want to see the conversation of women empowerment shifting in future decades? Women have made incredible advancements in the workplace over the last few years, but there’s still a lot of room for improvement. For example, there are still very few female founders and executives, and when it comes to funding, women receive only 4% of the total funding given annually by VCs. In future decades I hope we see more diversity amongst executives and founders, including women and minorities. I hope we will not only encourage more women and minorities to take on leadership roles, but also give them the opportunities and guidance to do so. Ultimately, I hope for a future where parity of representation will make these conversations less necessary. At Werk, we also talk a lot about how people are not one size fits all, so work shouldn't be one size fits all either. The traditional 9-5 job isn't compatible with the lives of most people anymore, especially women. A correlation can be drawn between work structures and fashion—today’s clothes are not designed with diversity in mind, and not all people fit into an assumed female archetype. Why do you think these boxes restricting women—and people more broadly—are so harmful, and what can be done to disrupt these norms? This is definitely a topic that resonates with us. Our customer has repeatedly been put in a box, being told what she “should” and “shouldn’t” wear because of her size. We absolutely reject these pressures. Style isn’t about conforming to someone else’s vision of who you should be. Style is self-expression—it’s being yourself and showing off your superpowers. It’s owning who you are and how you see the world. We are committed to helping our customers realize their personal style because style is how we celebrate ourselves. And when you celebrate yourself, you are unstoppable. I do see a parallel there with work life—I think people are most able to succeed professionally when they are able to be true to who they are and to pursue their unique passions.